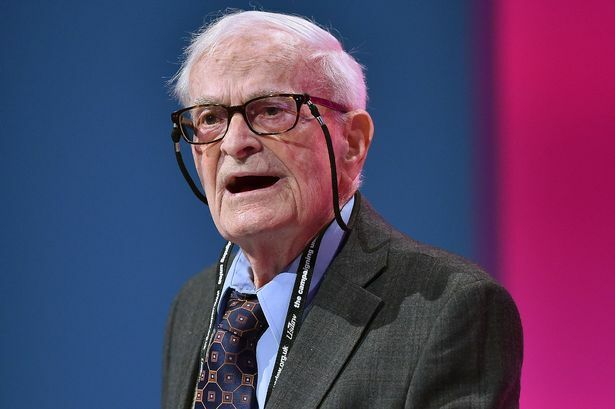 Harry Leslie Smith [Image: Andy Stenning/Daily Mirror]. I sympathise very strongly with Harry Leslie Smith. His generation should never have seen the return of days like these; mine should never have seen them at all. Unlike Mr Smith, though, I saw it coming. As long ago as January 2012 – just two weeks after I founded Vox Political, I was writing about Conservatives demonising the sick and disabled as “scroungers” – and take note that this was a variation on a strategy they had used 20 years previously, to attack single mothers. It is known as ‘Othering’ – labelling a man or a woman as someone who belongs to a subordinate social category defined as the Other. The Nazis used it, yes, and we are seeing Donald Trump use it now… but the Conservatives have been using it for decades. The world hasn’t suddenly become a dangerous place. Right-wing agitators have been transforming it into a dangerous place for decades. They simply haven’t bothered to reveal its true, ugly face until now – which indicates that they are becoming more confident, doesn’t it? I was born in 1923, so I know all too well that if you live long enough history will repeat itself. What I never expected to see were the economic and social conditions that gave rise to Hitler and Nazism return not only to continental Europe but also to America and Great Britain. The world has suddenly become a very dangerous place because the US elected a new president who spent the last 18 months telling his fellow citizens a wall must be built across their southern border to stop droves of Mexican rapists and drug dealers from swarming into their nation. Now words like that don’t remind me of Lincoln, Kennedy or even Nixon – but of Adolf Hitler. they are the new Nazi Party. It started earlier in the UK with Camorons Continual mantra of being for hardworking people which automatically meant he wasn’t for the unemployed the sick the disabled the incapacitated the stay at home parents or those who felt the need to stay at home to look after relatives because the government no longer provided any help to do this any other way. Quite right Mike. The notion that the world has become more dangerous since Trump’s election is pure ill-informed fantasy. Huge swathes of the world are already either in flames or in serious political/social/environmental trouble and it is only those living in a westernised bubble who fail to see it. The majority of the world would love to have our problems, which are pretty puny compared to theirs! I sympathise with Mr Smith’s fears, but honestly, a serious reality check is needed here. Thanks for pointing this out. The big problem here is that people are not facing up to what is happening. People complain but always seem to expect someone else to take a stance against the perpetrators. We have a Labour government fighting within itself, instead of supporting a fantastic leader in Jeremy Corbyn, and unless the party gets its act together quickly and starts giving emphasis on the social destruction of the conservatives, we will never see equality again in any of our life-times. All these dreadful wars are not started by the ordinary peoples but by the few greedy with totally vested interests and, of course, some religious fanatics. Whenever it was that Duncan-Smith visited Auschwitz (still in Opposition, I think) and expressed some sort of admiration for the chilling words above the gate I suspected he was a closet Nazi. A couple of years later he started quoting the same ominous words when talking about unemployed people and people who are sick and disabled. That confirmed my view that the man and many of his Nasty Party were Nazi sympathisers who, given half a chance, would use similar methods to the Nazis. To them inhumanity towards fellow humans is all part of the course.